Early last October, I attended an event hosted by W3LL People at their studio in Austin, Texas. The evening was memorable for so many reasons. 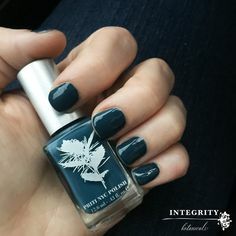 For starters, it was there that I met Terri and Marc from Integrity Botanicals and this blog collaboration was born. It was also where I met Brandie Gilliam, the founding editor and creative director behind a new quarterly magazine called Thoughtfully. That evening the W3LL People studio was full of people who are passionate about nontoxic beauty and wellness, and that’s what Thoughtfully is all about, too. I teamed up with Brandie and the rest of the amazing writers behind Thoughtfully, and I’ve been putting my heart into it as Thoughtfully’s Beauty Editor ever since. Here we are celebrating Issue 2 with the spring season! 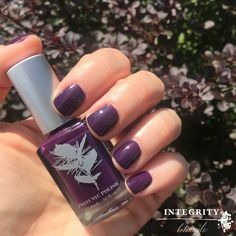 We wanted to introduce Integrity Botanicals customers to Thoughtfully because we think you’d really enjoy it. Thoughtfully covers travel, culture, fashion, beauty, wellness and food with a passion and enthusiasm that is 100% authentic. The contributions come from real people writing about the simple things that move us everyday and make our lives more beautiful and engaging. Great design and storytelling are just as important as sustainability, what we eat and drink, where we shop — all things that define the Thoughtfully lifestyle and how we approach each day. Thoughtfully isn’t just another magazine. Thoughtfully has soul. Let’s hear more about Thoughtfully from the woman who had the vision bring it to life, Brandie Gilliam. Susannah: What inspired you to create Thoughtfully? Brandie: I was inspired to create Thoughtfully about seven months ago after having an aha moment that I could fill the void that I wanted to see on newsstands when it came to authentic and inspiring non-toxic beauty and thoughtful living. In that moment, it occurred to me to just do it and so I did… and here we are with the new release of our second issue for the spring season. What does it mean to live Thoughtfully? To step back and think about how our actions, words and thoughts impact ourselves, others and the world around us. When we live with intention, purpose and mindfulness, we’re living thoughtfully. What makes Thoughtfully different from other lifestyle magazines? I think what makes Thoughtfully different from other lifestyle magazines is its uniqueness, approachability and authenticity. We’re not trying to be the next whatever (you fill in the blank). We’re just trying to be us and do that really, really well. Living passionately, beautifully and thoughtfully every day is what we do and its a lot of fun so my goal is to make sure that comes through and translates on our pages both visually and with the information we’re providing each issue. If you could have anyone in the world grace the cover of Thoughtfully, who would it be? I have quite a few people on my list but certainly having Jessica Alba, Miranda Kerr, Alicia Keys or Luptia Nyong’o grace one of our covers would be AMAZING. 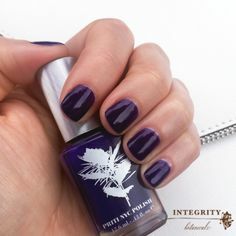 Integrity Botanicals + Thoughtfully are giving away the print version of Issue 2 to 5 lucky people! Enter below! Giveaway ends this Monday, April 13 at 11:59 PST. Can’t wait? You can purchase a digital copy of Issue 1 or Issue 2 for immediate download, or you can order a print edition. Thoughtfully also has national distribution through Whole Foods Market, so look for it during your next shopping trip. How exciting! I’ve virtually stopped reading all beauty magazines because they seemed to just be full of ads for traditional chemical filled main stream brands. This sounds like a delightful magazine! I’d love to see Jessica Alba on the cover too as I’m a huge fan of her Honest Company and their non toxic cleaning products. Congrats Susannah on being Beauty Editor! Thank you, Carol!! I completely agree and relate to your point about beauty magazines. Once the veil was lifted and I learned about what’s in all these conventional mainstream brands, the beauty magazines started to lose their appeal, too. I hope you check out Thoughtfully. I think you’ll enjoy it! I would love to see beauty chef founder Carla Oates. She is fascinating. This is awesome! So nice to see a whole magazine dedicated to thoughtful beauty! I would love to see Nadine Artemis on the cover someday– she is such an amazing light and beautiful soul! Thanks for the chance to win this gorgeous mag! I’d love to see Jessica Alba on the cover of the magazine. I’ve heard about the Honest Company that Jessica founded and I even suggested some of her baby products to my cousin who is recently pregnant. I think it would be wonderful to have Jessica on the Cover of “Thoughtfully” because not only will this be a great collaboration for the magazine but Jessica truly is an amazing role model in all things ‘pure + natural’. The founder of Odacite skin care. Thank you for the opportunity to enter your contest. I would love to see Madline Alcott of Petit Vour on the cover! She’s helping to bring cruelty-free, non-toxic beauty to the mainstream! I think that Maura Ambrose of Folk Fibers would make for a great cover story. She definitely embodies thoughtful living. Thank you for such a fantastic opportunity, Susannah: I’ve been dying to get my hands of a copy of Thoughtfully! I would love to see Anne Nelson Sanford, the creator of Lurk Perfumes on the cover. I am a huge fan. As well as the team who brings us Osmia Organics, or just its creator, Sarah. Hi, I’d love to see Rose Marie Swift on the cover. I feel like she is a great example of organic makeup and she looks fabulous. 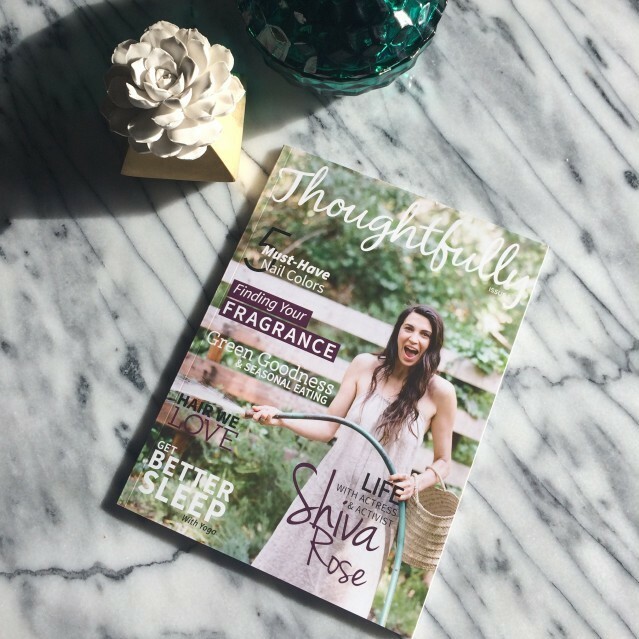 I would love to see regular natural beauty bloggers on the cover like beauty by britanie or organic bunny on the cover of thoughtfully! I’d love to see Jessica Alba (love honest company) or a popular natural beauty/skin care blogger! Absolutely LOVE this magazine! I read the first one cover to cover. I can’t wait until you offer an annual subscription. Congrats again Susannah! So many amazing people in this little, green beauty world, how do you even begin to choose?